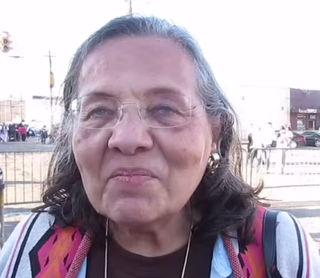 Diane Nash, one of the main leaders and strategists during the civil rights movement, refused to march at the historic restaging of the 1965 march across the Edmund Pettus Bridge in Selma, Ala., this weekend because of the presence of former President George W. Bush, the Washington Post reports. “I refused to march because George Bush marched,” Nash told News One Now’s Roland Martin. “I think the Selma movement was about nonviolence and peace and democracy. And George Bush stands for just the opposite: for violence and war and stolen elections, and his administration … had people tortured. Bush’s presence may have gone unnoticed because he marched across the bridge with former first lady Laura Bush toward the outer edge of the bridge. As the Post notes, many photographers were forced to crop the former president out in order to get a close shot of the Obama family, who crossed at the center. According to the Post, Bush’s absence in photos caused a stir among his supporters.